This heavy-duty steel opener is extra long, with a durable vinyl covering. The extra length provides more leverage for speed opening and the opener features a large printed logo. Our fun, flexible key chains are made of a rubbery material that is layered to create a bright, textured logo. Use this attractive clip magnet to hold memos, photos or appointment cards on the fridge or take it down keep use it to clip bags shut. 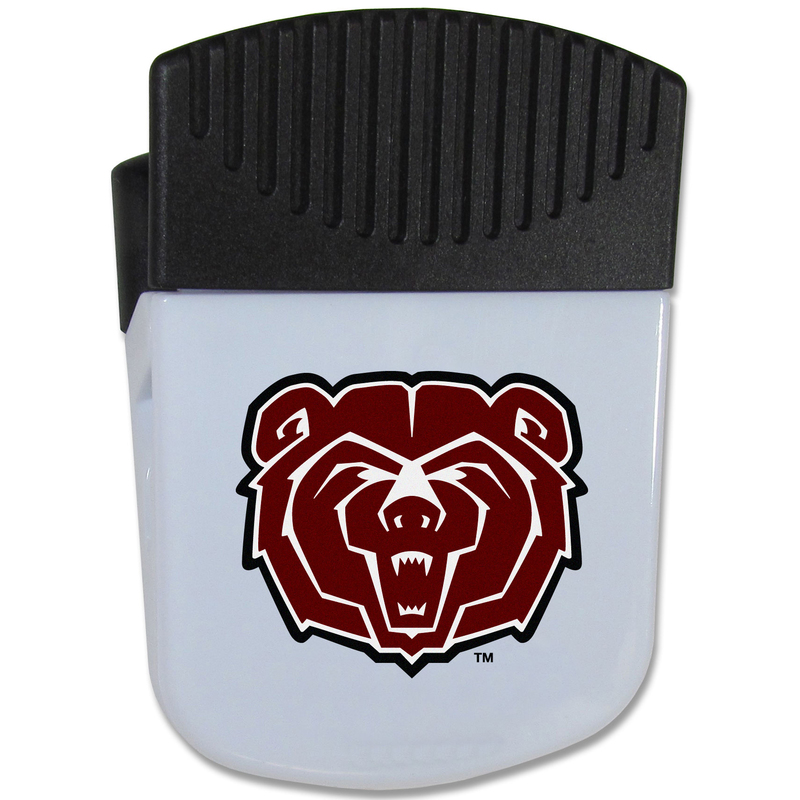 The magnet features a silk screened Missouri St. Bears logo.